Whatever foodservice segment you’re serving, Smucker Away From Home has an array of prominent food and beverage brands for your consumers to enjoy. Check out our latest promotions and offers below! 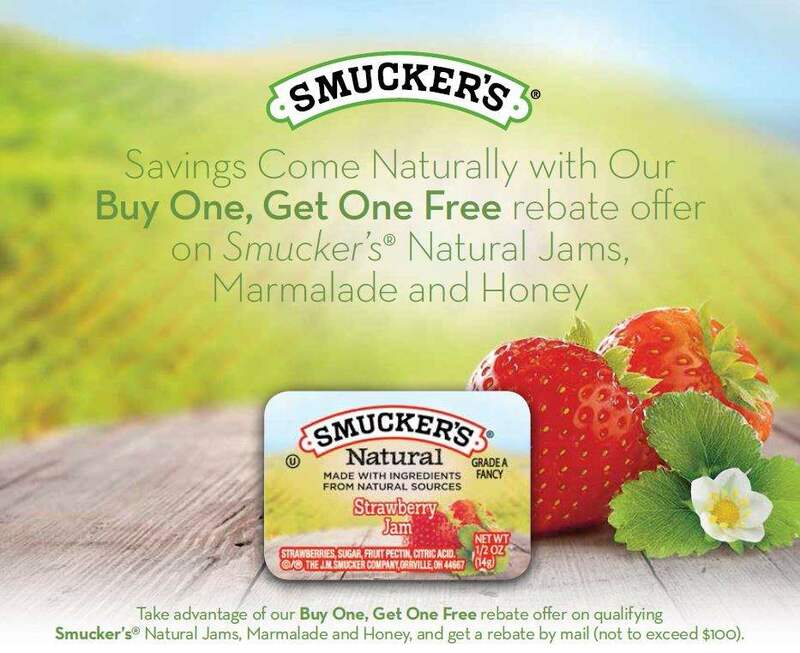 Smucker's Natural Rebate, up to 5 cases free! First-time purchasers only. 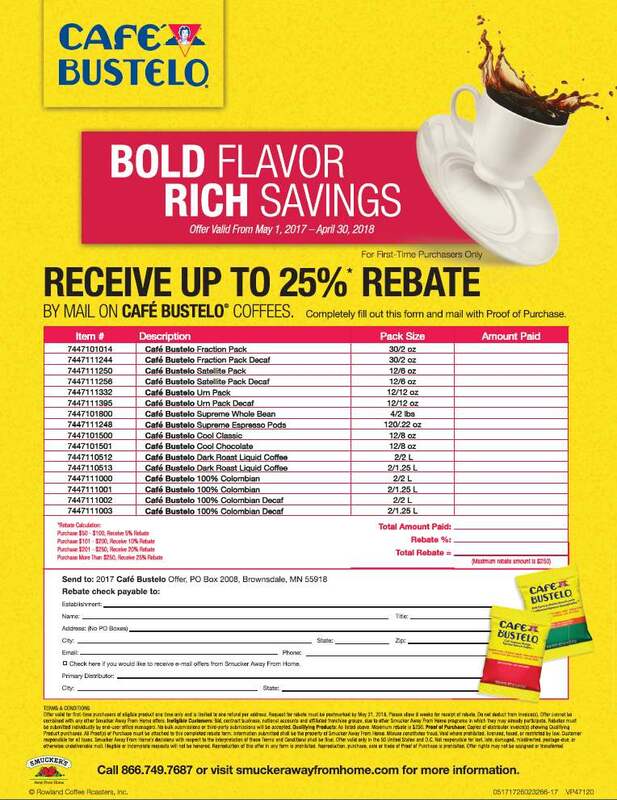 Receive up to 25% off rebate by mail on Cafe Bustelo® Coffees. Offer valid through April 30, 2018. Earn up to $5 per case (up to $500) rebate by mail just for buying top quality jams, jellies and preserves, peanut butter and sweeteners between January 1st and May 31st, 2017! See Terms and Conditions for Complete Details. 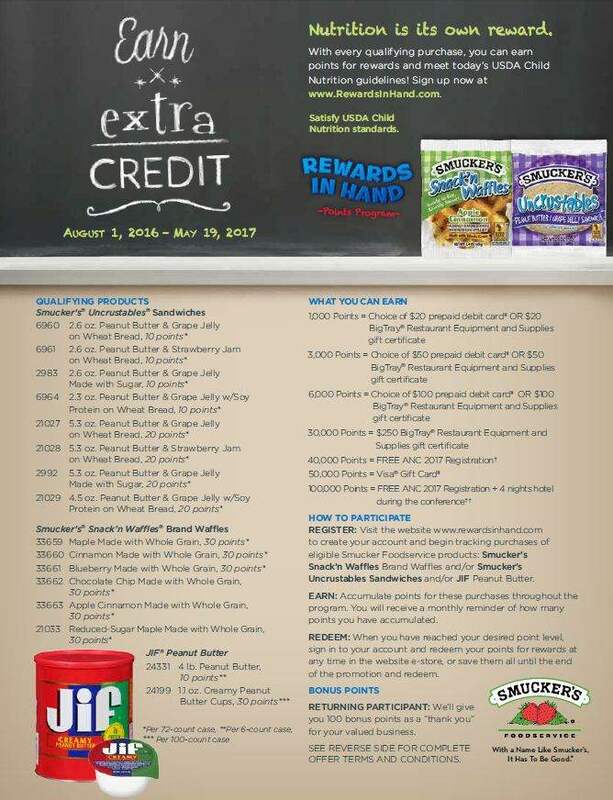 With every qualifying purchase, you can earn points for rewards and meet today’s USDA Child Nutrition guidelines! Offer valid through May 19, 2017.